Family Activities to ROCK the Rest of Your Summer! 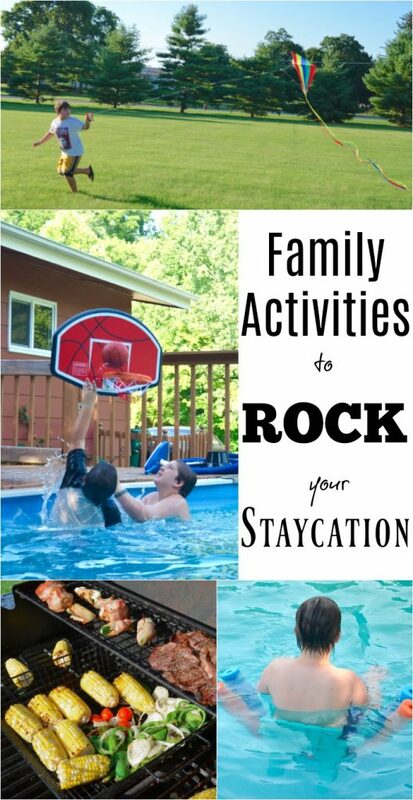 Home » Family Activities to ROCK the Rest of Your Summer Staycation! Family Activities to ROCK the Rest of Your Summer Staycation! These family activities to ROCK the rest of your summer staycation can be done at home or on the road! 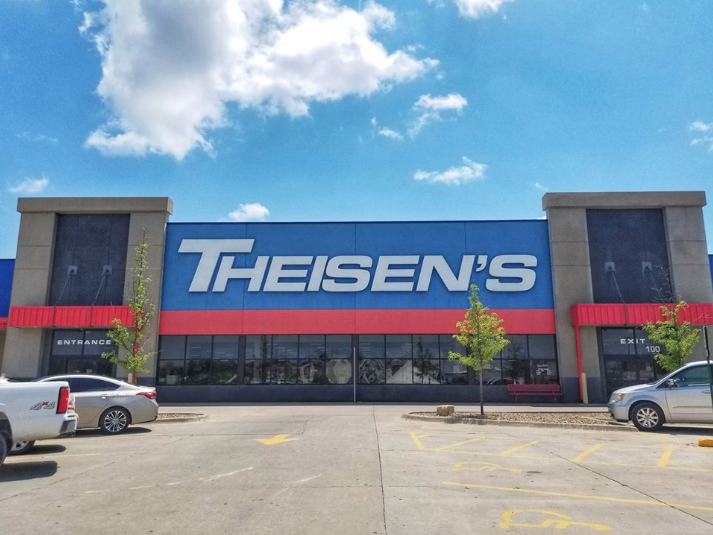 ENJOY the rest of your summer and this FUN post that I’ve partnered with Theisen’s to bring you! 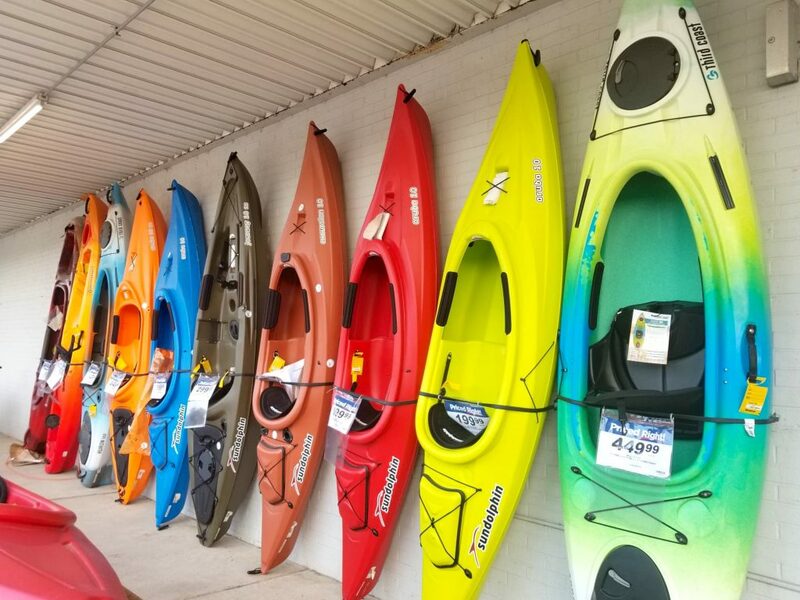 Whether you still have some vacation planned or you are looking for AWESOME family activities to make your staycation and summer a BLAST – I can’t recommend the Theisen’s stores enough! They are one of my family’s favorite places to shop when we are in Iowa (or Wisconsin!) because they have something for everyone in the family! A lot of people think they mostly have farming equipment, auto care and boots – and they do! But they have SO MUCH MORE! Below are some ideas for your summer fun activities that Theisen’s can help you with! FREE POPCORN!?!?! Need I say more?! I can’t tell you how many times over the years we’ve needed to stop into Theisen’s for one thing or another and my kids were GRUMPY. Just plain cranky and grumpy. Our only saving grace on dragging them into the store was the bribe idea of getting popcorn! If hubby and I are together we usually send one to the self-serve popcorn station with the kids while the other one does the shopping! 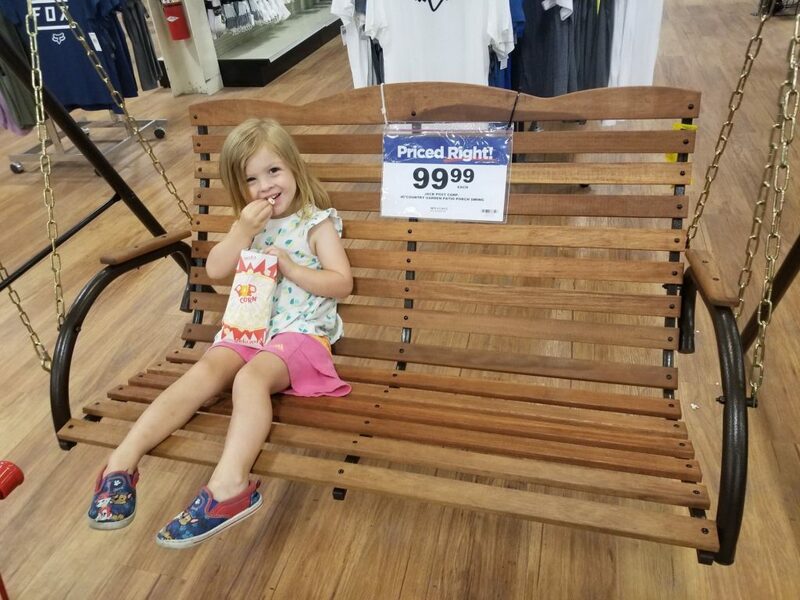 I WAS awfully tempted to also take home this beautiful wooden swing for under $100 though! It’s no secret how much we LOVE camping! In fact we were camping when we went out to Iowa to head back to our favorite Theisen’s store! 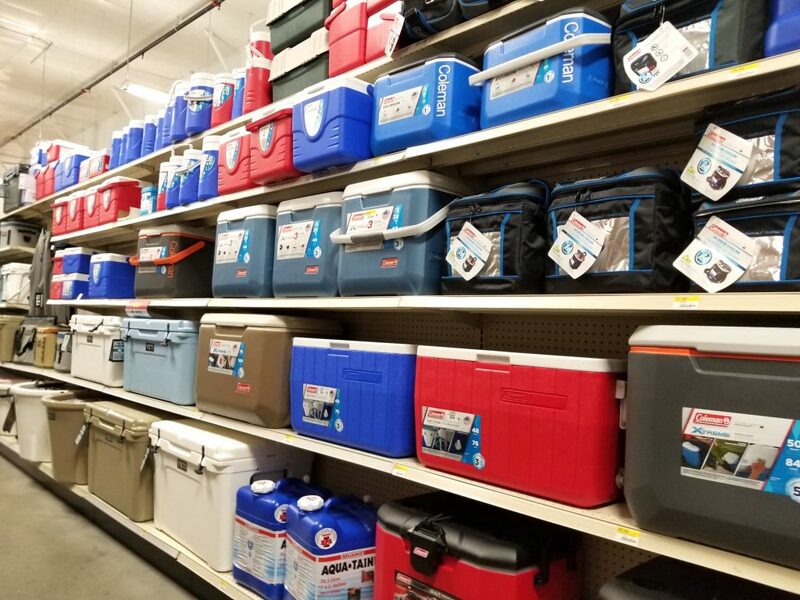 Theisen’s has everything you need for camping!! Never been camping before? Camp for FREE in your backyard! Camp CHEAP in state parks (usually $10+/night)! Tent – this is important! Do your research and check reviews! Sleeping Bags & Pillows – I like to buy for cold weather to cover any extremes! Fresh water – I keep a gallon of water in the trunk just in case we need it! Food – This is best pre-planned out! We usually bring a cooler plus a bag of snacks! Empty plastic bags – great for trash, wet/muddy shoes & clothes, etc. Bug Spray – make sure it works for ticks too! Cookware, paper plates, water bottles, silverware, etc. Heater/Fan – This helps offset the extreme temperatures at night! Shower bag w/toiletries – Essential for a quick grab & go to get to the showers! 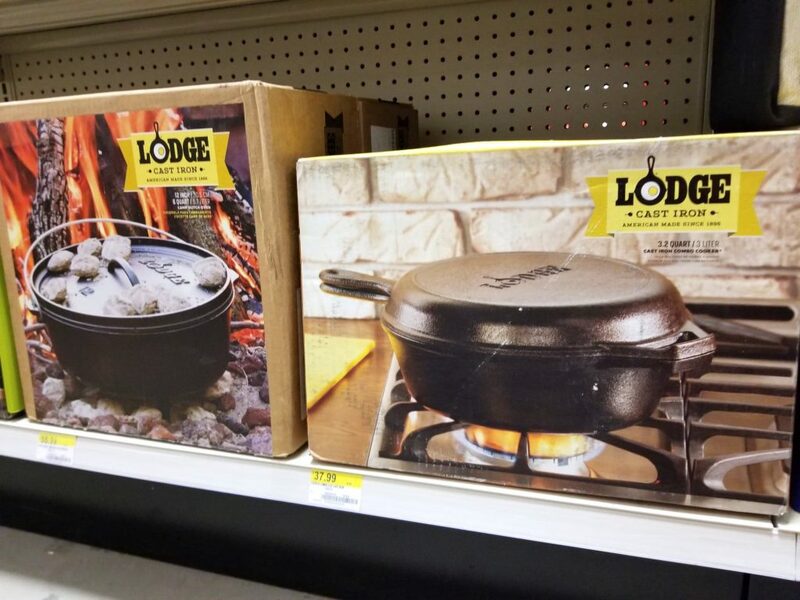 I couldn’t pass up this camping section without mentioning some of our other FAVORITE camping supplies that we spotted at Theisen’s. Did you know that you can buy amazing contraptions so you can cook your burgers, sandwiches, quesadillas, and desserts over the campfire?! You have to check them out – they are amazing! If you’ve got a family of 4+ you might need to pick up a couple though! And don’t forget about the amazing selection of cast iron pots! It amazes me how many kids (and even adults!) have never flown a kite! Sure, you have to wait for a windy day, but the excitement and thrill of getting a kite to soar is totally worth it! Over the years we’ve bought the cheap little plastic kites but they usually only work for a day or two in my house. 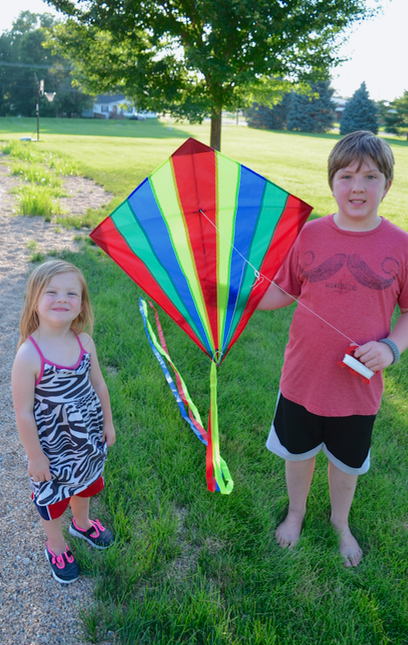 We decided to go big this year and buy a nice fabric kite so we can use it all summer and fall! This one we bought at Theisen’s was a GREAT choice! 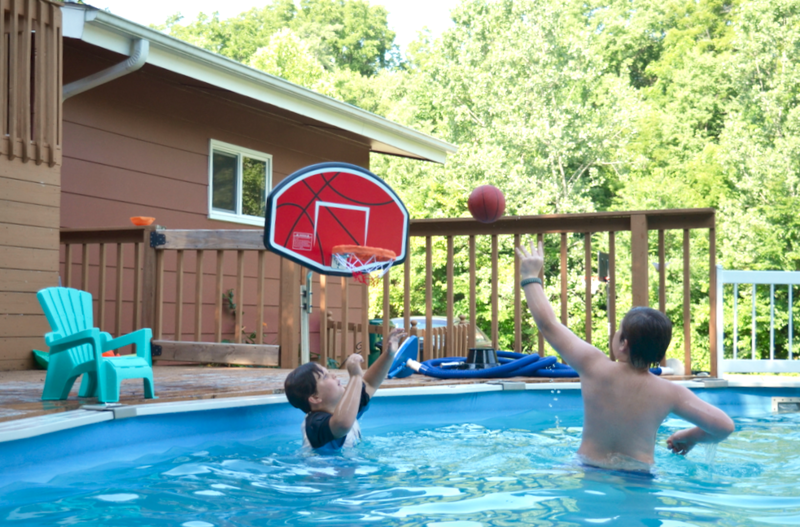 Whether you have a pool in the backyard, go to a community pool, or head to a nearby lake – pool “toys” always add a little bit of excitement to the day! 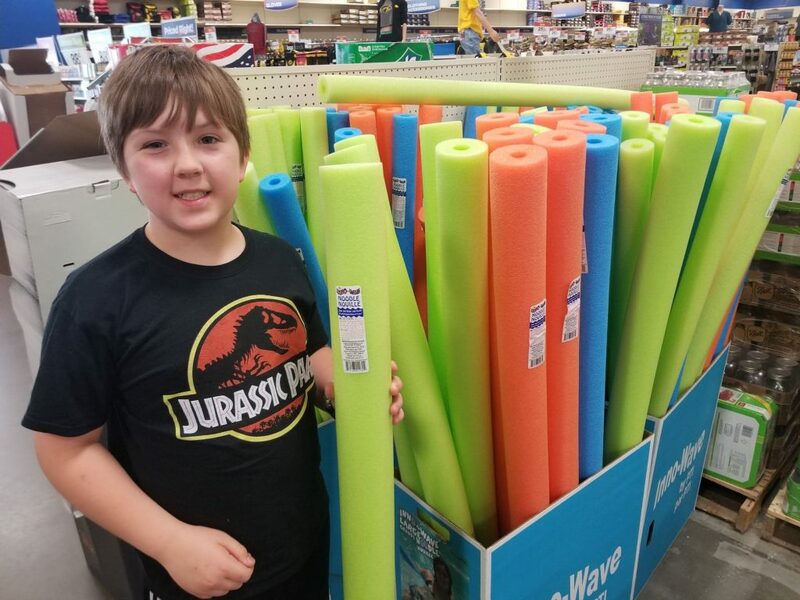 We decided to pick up a whole pile of pool noodles at Theisen’s because they were on sale and so inexpensive! 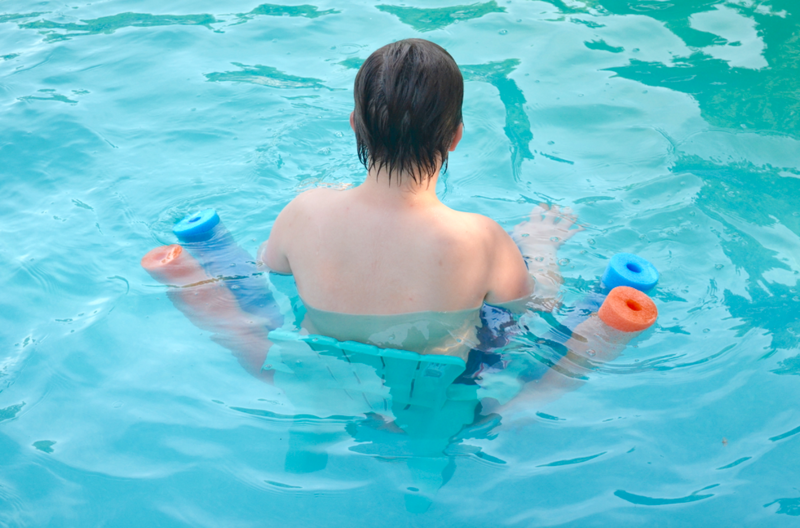 We bought the extra big ones for swimming and the smaller ones for creating water games and activities with! Grilling is a summer favorite in my house. Normally it’s just a quick burger and hot dog but sometimes we splurge and wrap corn cobs up in foil or other veggies and spend the time to make our meal good. 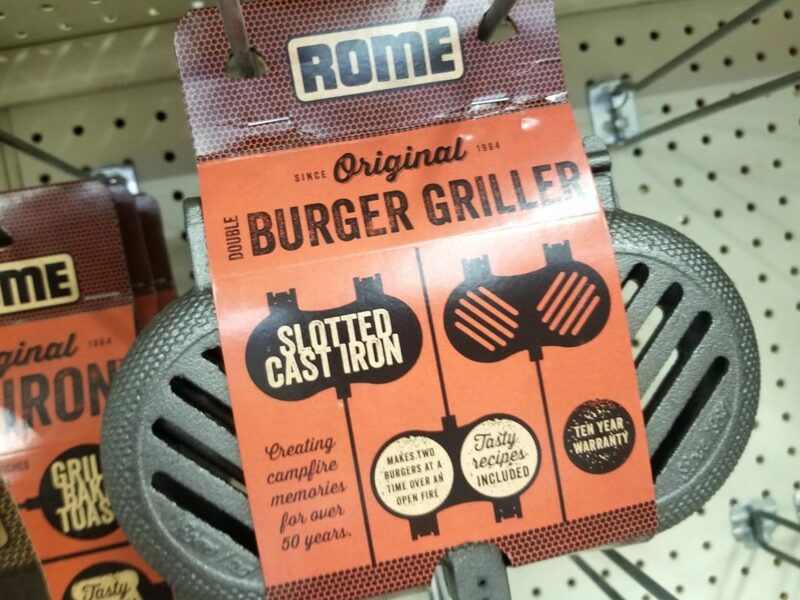 My husband and I both discovered this grilling basket at Theisen’s and HAD TO BUY IT! 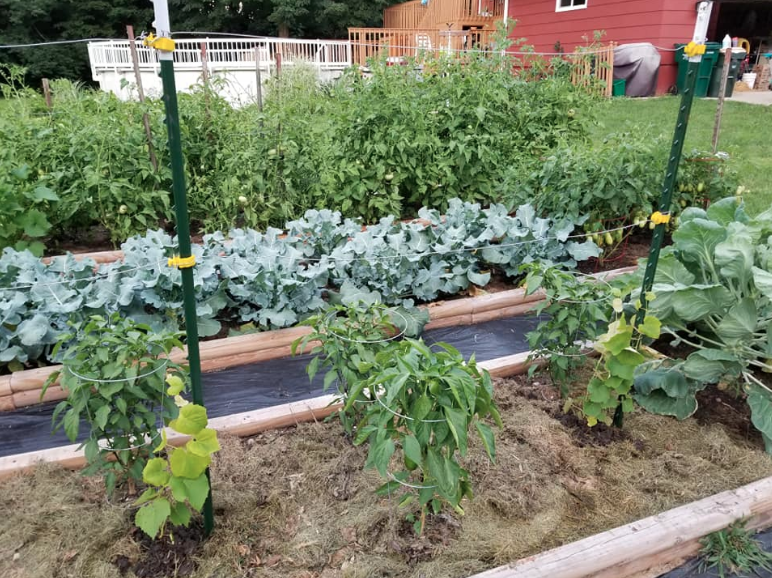 You’ll see below that we have quite an extensive garden so summer time is the perfect time to slice up those veggies and throw them on the grill! 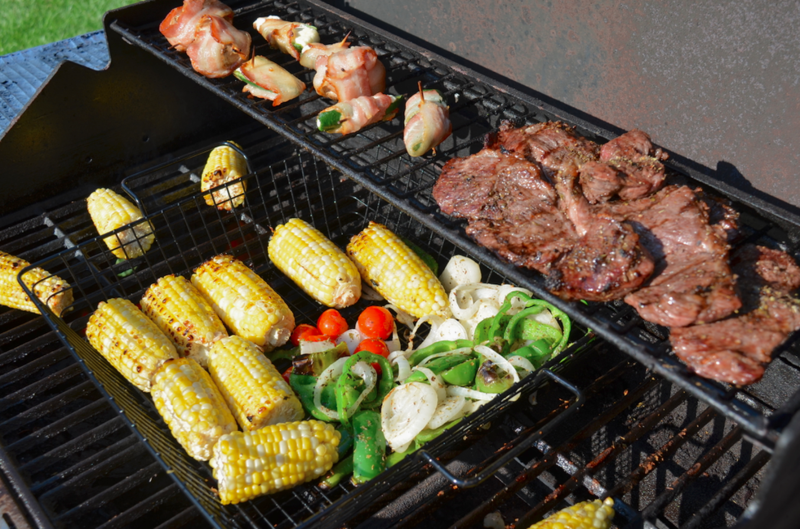 This grilling basket is also perfect for camping! Whether your kids love a specific sport or your family wants to engage in a new sport – having a Sports Day is a great way to keep your family moving! Try your hand at shuffleboard, kayaking and fishing- or set up corn hole and frisbee golf – there’s definitely something for everyone! We picked up this AWESOME trampoline basketball hoop set at Theisen’s that my husband has retro fitted to be used by the poolside during the summer and then moved to the trampoline for the fall and spring months! It’s AWESOME and I bought it on sale for $24.99!!! What a steal! It’s a fantastic quality durable basketball hoop set up – we are absolutely thrilled with it! Just because summer is half over doesn’t mean that you can’t plant a garden! We live in the Midwest and now is a great time to get prepped for a fall garden. And you can, of course, always create an indoor garden for your kitchen! Don’t forget about fairy gardens, butterfly gardens, herb gardens, and MORE! Whether you have a green thumb or yours is a little more brown – there are all sorts of options at Theisen’s! This is the first year that I’ve planted grapes so if you have any tips feel free to leave them in a comment for me! I saw some gorgeous grapevines at Theisen’s and have considered growing grapes for several years now so I couldn’t pass them up! I want to tell you my asparagus story. When we lived in Iowa we had purchased 3 asparagus plants (LIVE PLANTS, not roots! 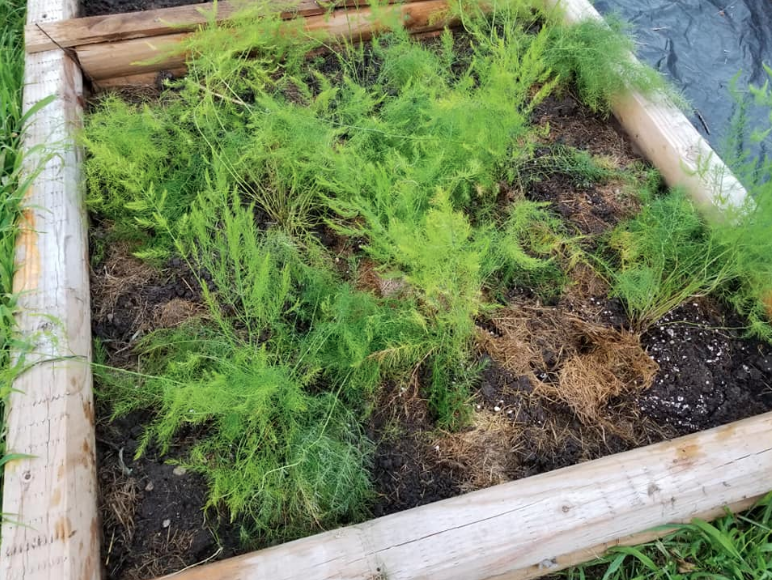 ), so when we moved to Illinois we went to our garden center looking for asparagus plants to start up again. Except there were NONE! In fact we went to about 10 stores looking for live asparagus plants (big name stores and small garden centers!) with NO LUCK! I should have figured when we drove out to Iowa that I would find a whole pallet of live asparagus plants at my favorite Theisen’s store! Either way I’m thrilled because we finally filled out that last garden box! What other SUMMER FUN ACTIVITIES do you have planned this year? Leave a comment below and share your fun ideas with us! And check out all the great sales at Theisen’s for your family fun activities! Theisen’s Home Farm Auto, founded by Leo and Kathryn Theisen, opened their doors in 1927 selling batteries and tires. 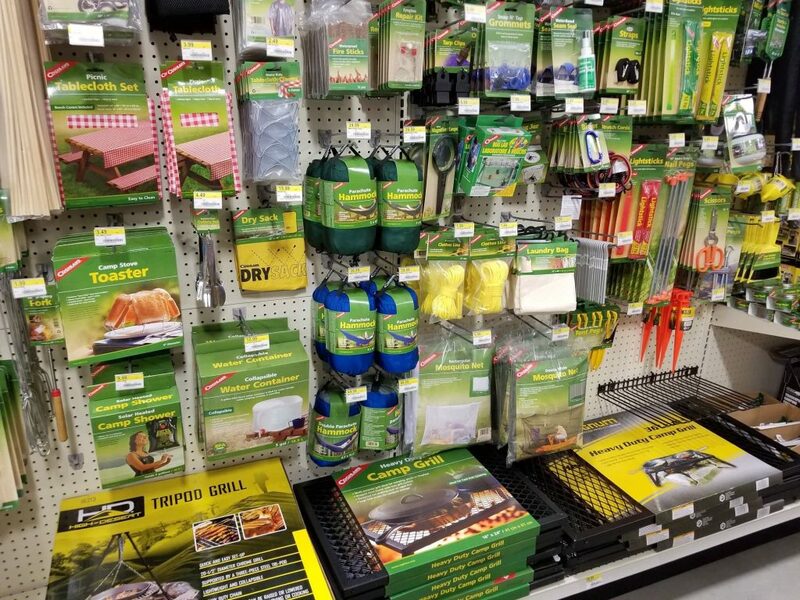 The first store started in Dubuque, Iowa and has since spread to not only 23 stores in Iowa and Wisconsin but they now carry thousands of other products for auto, home and farm. Now in their 4th generation of family Theisen’s has a strong commitment to community and support local schools, FFA, 4-H, Toys for Tots, United Way, The Boys & Girls Club and many more community programs through their More For Your Community Grant. These look like awesome ideas! We don’t have the kids full time, they’re my stepkids, but we were getting pretty bored during our two weeks with them this summer. Need more ideas for weekends. It’s funny how quickly bored kids can get in the summer! These ideas have kept my kids re-directed and happily occupied this month! This is a great list of activities to do as a family this summer.My kids love camping. Whether its in our own backyard or at a local campsite, it is always the highlight of our summer! Yes!! We’re squeezing in one more camping trip this month! Can never get enough! Awesome staycation ideas, we have been doing a lot of low key things this summer instead of big trips and I am going to squeeze some of these in now too! That’s exactly what we did this summer! Usually we take a nice big road trip somewhere and go camping but this year we had to hunker down and stay home a bit and have been having a blast doing all of these things! I wish we had one of these nearby. Free popcorn – yay! Thanks for the wonderful kids’ activities and ideas. I have a paddle board, and we’ve been camping and on a road trip this summer and we are going camping and paddleboarding again this weekend…so we really have made the summer fly by! These are all wonderful ideas! We did not garden this year due to the extreme heat but I would LOVE to go Kayaking!! Pool days are always awesome, especially in this heat! I love your ideas and am going to use several of them! I love Theisens, that is where I bought my Kayak! My whole family enjoys going out and enjoying nature on those things, such a great deal and they last forever! I have such a good time going out on the river, we need to plan a trip this weekend! All of these are great ideas. I’m still looking for more activities for the summer. We have done a few fun ones so far. You found some really great deals! I love the idea of staycations because you get to sleep in your own bed! We like to do short road trips, there is so much to explore throughout Wisconsin. 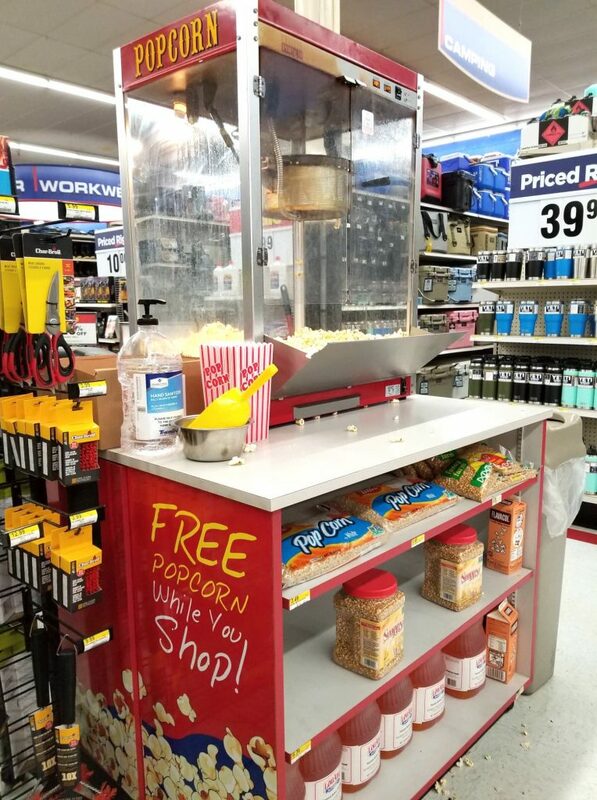 I love it when stores have free popcorn while you shop! That looks like a fun place to take the family shopping. I want to go camping before summer is over! The weather hasn’t been cooperative so far, but fingers crossed I can get out there ASAP. We are at the point of summer where the kids are starting to complain about being bored. This is a great list of summer fun to make the whole family rock the summer staycation.